Looking for a Private Retreat? Then this is The Place. Beautiful Views for Miles. 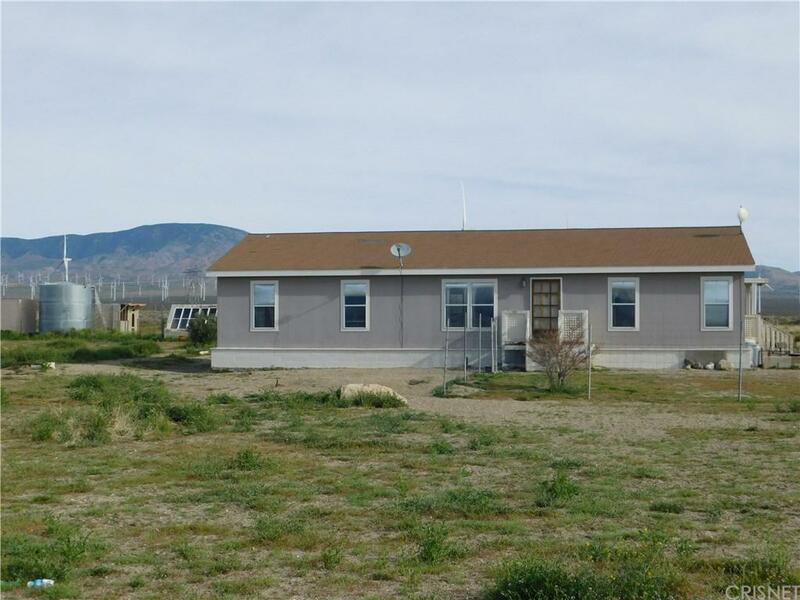 4 Bedrooms / 2 Bath Fully Permitted and Large 2008 Manufactured Ranch Home on 5 Acres with Excellent Private Well. Permanent Foundation and Professionally Installed. Spacious Living Room, Kitchen and Dining Area with Open Floor Plan. Vaulted Ceilings Throughout and Dual Sinks in Master Bath. Large Chicken Coup, Chickens, Storage Sheds and 16' Cargo Container are all Included. Well is 623' Deep and Pump is only at 520'. Newer 12,500 gallon Storage Tank. Home needs new flooring & door trim and is currently off the grid but is an incredible value for what you get. Owners currently using generator but plenty of room for solar or wind power on property. Bring Your Horses or Toys. Plenty of Room to Roam and Play. Must be Viewed to Fully Appreciate.